Take heed, dear Friends, to the promptings of love and truth in your hearts, which are the leadings of the Holy Spirit. It is God’s redemptive love that draws us, a love shown forth by Jesus in all his life, on the cross, and in his abiding presence. Friends are advised to make a quiet place in their daily lives for prayer and communion with God and to be constant in the reading of the Bible and other devotional literature. Let us cherish the seed of God in ourselves and in others, that we may be open to new revelations of truth. Let us look to our meetings to guide and stimulate our spiritual growth. 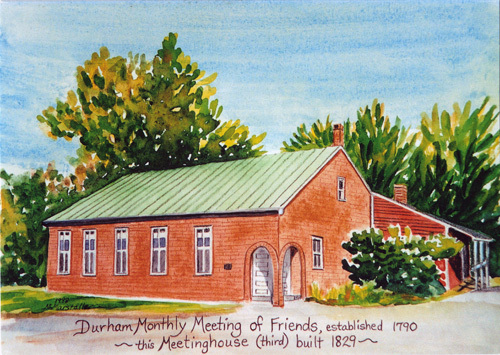 New England Yearly Meeting Faith and Practice, 1985, page 205.